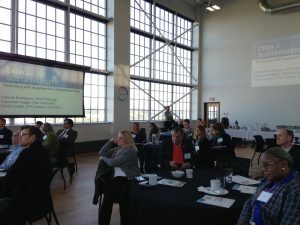 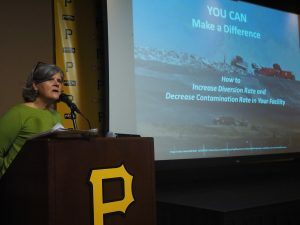 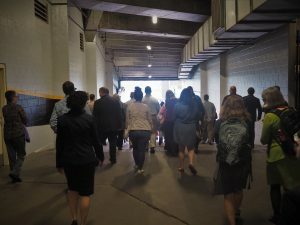 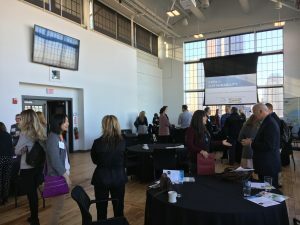 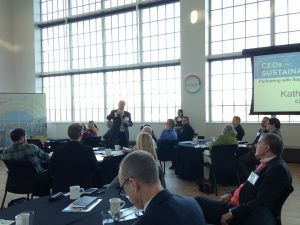 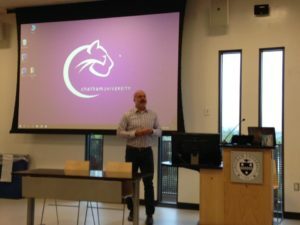 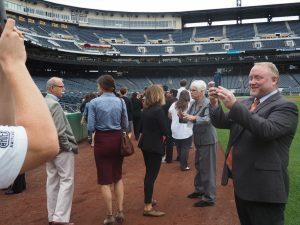 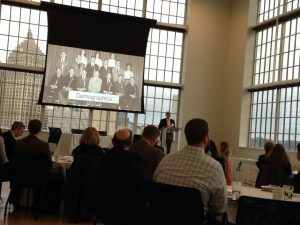 As a highlight of the workshop, Sustainable Pittsburgh’s Business Sustainability Pros introduced the new Material and Waste Management Resource Guide for Southwestern PA, a project of Sustainable Pittsburgh’s Champions for Sustainability network. 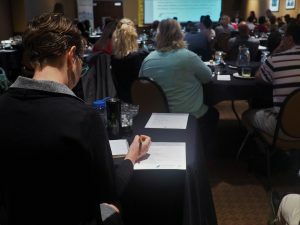 Download the free guide here. 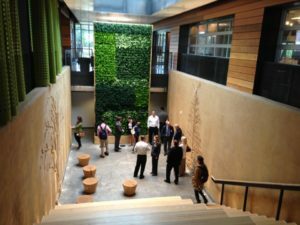 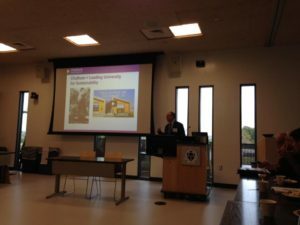 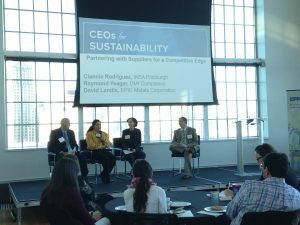 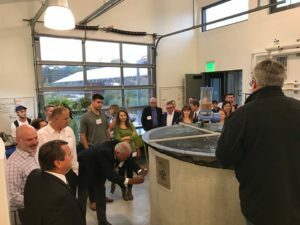 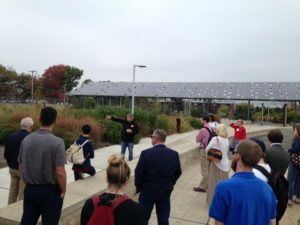 At this CEOs for Sustainability Speaker Series launch event held Oct. 25 at the Energy Innovation Center, keynote speaker Mike Krzus of BrownFlynn and a panel of local sustainability leaders addressed how businesses are positioning through winning sustainable business strategies. 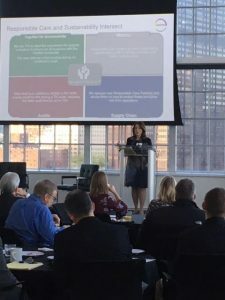 After a warm introduction by IKEA Pittsburgh’s Ciannie Rodriguez, Krzus (above) presented a survey of global drivers of change in business valuation, including demographic and technological trends, and opportunities for companies and the executives who lead them. 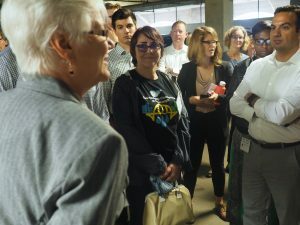 IKEA Pittsburgh’s Jennifer Stockdale led a lively audience Q&A session with Krzus. 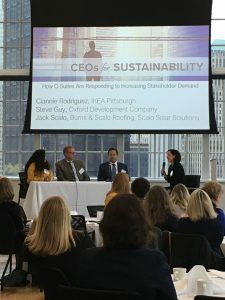 Thanks to IKEA Pittsburgh and Covestro, sponsors of the CEOs for Sustainability Speaker Series.